Flash Player is needed for viewing this Slideshow. Ski Heil - The two planks that mean the world' has been invited to be a part of the 2009 Sheffield Doc/Fest Videotheque. Ski Heil - The two planks that mean the world will be part of the East Silver Market at the Jihlava Documentary Film Festival 2009. 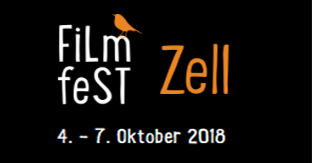 The Diagonale, the festival of Austrian film, is the main platform for presentation and discussion of Austrian filmmaking. Every spring since 1998 the Graz festival has been a popular meeting place for both the public and the industry. ‘Finally Europe has found an answer to the Sundance Festival,’ according to the Paris New Guard Literary Journal. Whether this is actually the case or not can be put to the test by independent European film makers at the fourth ( European Independent Film Festival (ECU)) at the ‘Bibliothèque Nationale de France’ in Paris. Ski Heil – The two planks that mean the world will be screened at the hotDOCS Doc Shop in Toronto in May 2009.